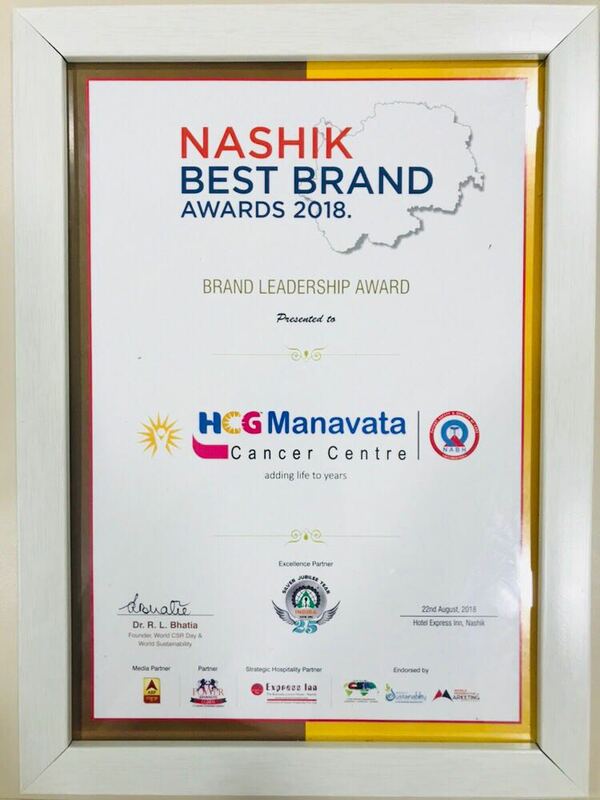 Curie Manavata Cancer Centre Nashik is the “First NABH Accredited” cancer center in Maharashtra. Having 72 bed capacity with state-of-the-art cancer care facilities (Surgical Oncology, Medical Oncology, Radiotherapy, Nuclear Medicine & Psycho Oncology department) available under one roof. This award was given by TIME Cyber media & Times Magazine group. 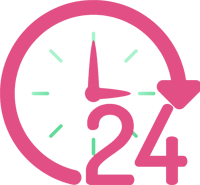 This survey was based on the quality care, clinical outcomes & patient feedback. Dr. Raj Nagarkar (Chairman, CMCC) receiving with the hands of Padmashree Dr. J. Singh (President IMA) & Cricketer Mr. Virendra Sehwag at Delhi on 27th Aug. 2016. 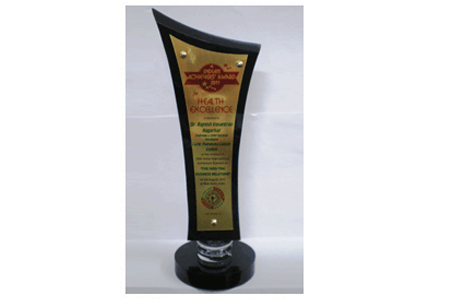 Dr. Nagarkar has been awarded "Health Care Excellence" award by Indian Economic Development of Research Association, New Delhi for his significant contribution and his drive towards excellence in Health Care Sector. 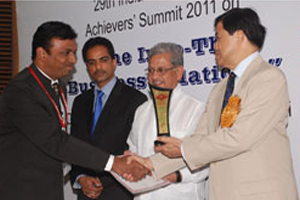 Dr.Nagarkar has received Indian Achievers’ Award For Healthcare Excellence 2011 at Indo-Thai Business Summit and Expo 2011, New Delhi organized by Indian Achievers Forum in association with India-Thai Chamber Of Commerce, Thailand. Dr. Raj Nagarkar’s Curie Manavata Cancer Centre was nominated for "Big Research’s Maharashtra Service Excellence Awards 2011" in Healthcare Segment. Curie Manavata Cancer Centre was nominated for the reputed Times Of India Social Impact Awards 2011 These awards are dedicated to honour the efforts of those who came together to fight for change and create a Social Impact. 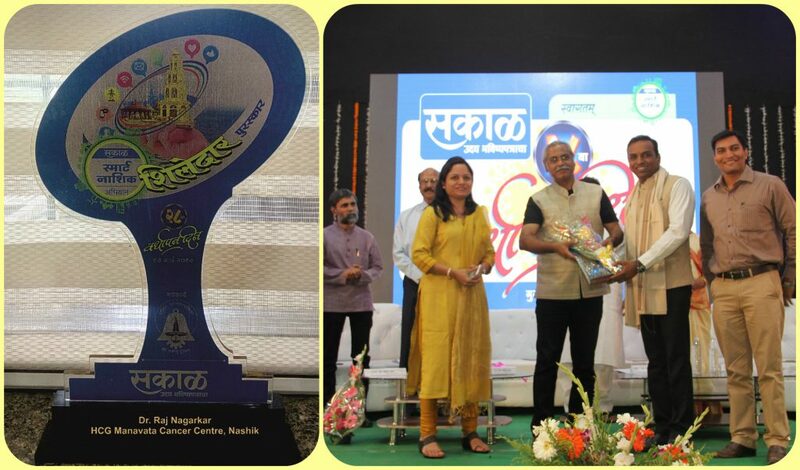 Curie Manavata Cancer Centre was felicitated with “Appreciation Award” for Cancer Awareness among the masses at Krushi 2011- International Agriculture Trade Fair and Conference, Nasik. 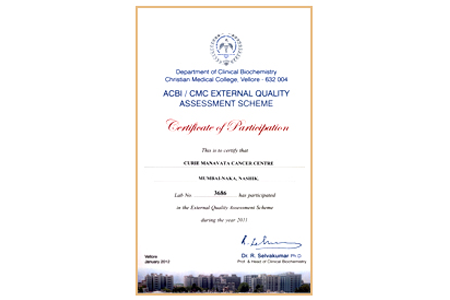 Curie Manavata Cancer Centre’s Pathology Lab received "Certificate Of Participation in the External Quality Assessment Scheme during the year 2011". Curie Manavata Cancer Centre’s Pathology Lab received Certificate Of Participation in the External Quality Assessment Scheme during the year 2011. 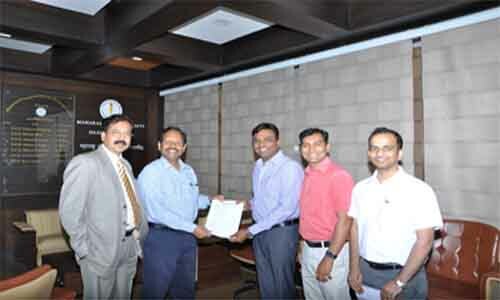 Dr. Raj Nagarkar and his Curie Manavata Cancer Centre’s team receiving Affiliation and permission for starting the Fellowship Courses in the Breast Surgery and Head & Neck Cancer Surgery during the year 2013.